City gears up to install red-light cameras along Pacific Highway at three intersections. 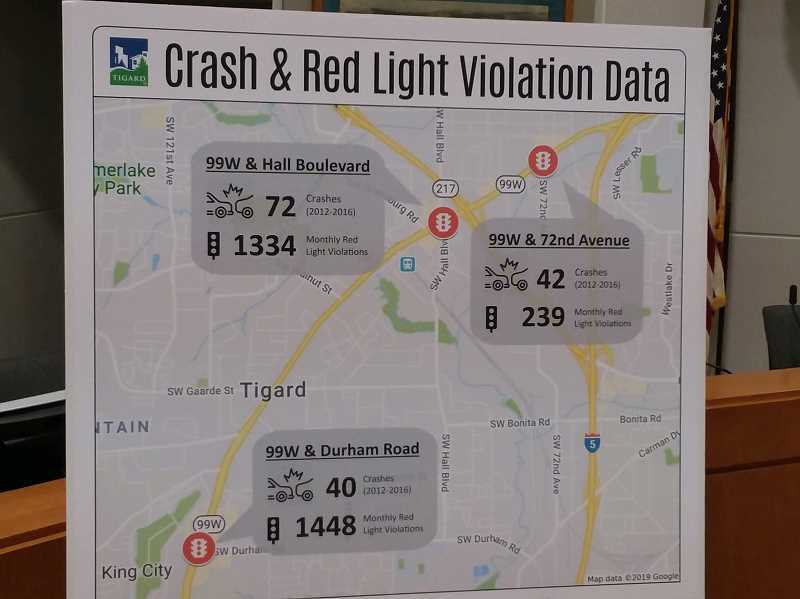 As Tigard prepares to install photo traffic enforcement equipment at three intersections along Pacific Highway (Highway 99W), the city's police chief recently assured residents that the new program is an issue of safety and not one of collecting additional revenue for the city. On Wednesday, Tigard police administrators and Tigard Police Chief Kathy McAlpine explained details of the city's first installation of photo enforcement with plans to place cameras and accompanying hardware along the highway at 72nd Avenue, Hall Boulevard and Durham Road. 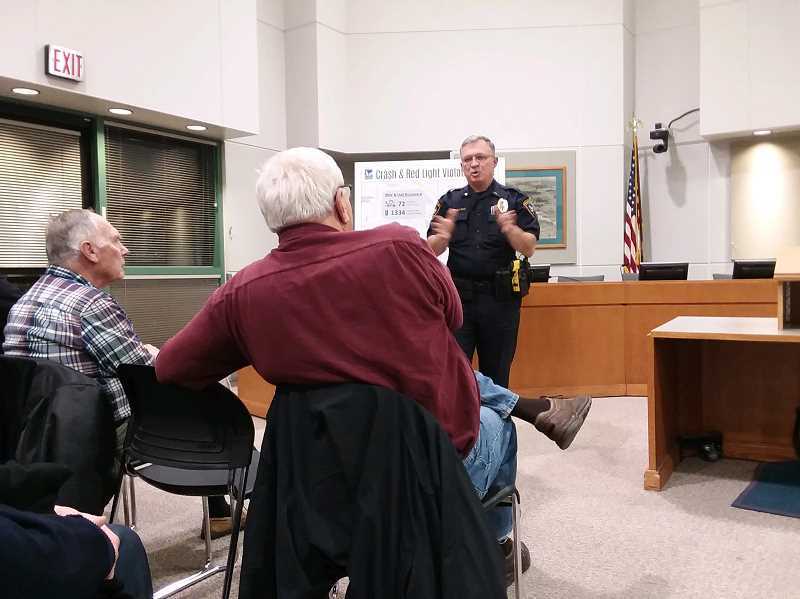 If all goes as planned, equipment installation could begin as early as February, those law enforcement officials told about 26 audience members gathered at Tigard City Hall as part of the chief's regular "Chief's Chat" gatherings. Alpine stressed at the meeting that while there is extensive "chatter" among some groups regarding the installation of photo traffic enforcement as a way to fix the city's revenue problem, which is not the case. "It is not about money," she said. "This is about safety." At the same time, Alpine said if there's any doubt regarding a motorist's guilt, no citation will be issued. Click here to read the rest of the story by The Times of Tigard, Tualatin and Sherwood.